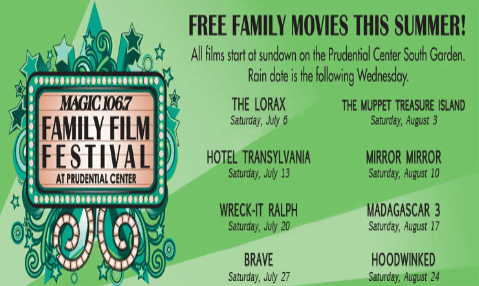 Magic 106.7 Free Films at Prudential Center on Saturday Nights during Summer 2013! The rain date for these showings are the following Wednesday. For more information, please click here.